We have the benefit of having a corner stone in the football program for 30 years. Great man, coach, and mentor to generations of athletes. Thank you Coach Ayers and all you have done for Wofford College. I know this thread could be considered too soon, but what will be some names tossed around? Will the culture and system be the same? Will Wofford "Pony Up" on the funds for coaching? I would add Coach Lang to that list of possible coaches as well until we hear otherwise. He's as much a part of Wofford football as Coach Ayers, if not more. Coach Lang has been a Terrier since before I was born. I honestly don’t think Coach Lang has any desire to be the head man. It doesn’t fit his personality. He’s not a centernof attention kind of guy. I'm not a football player, so I don't anything about Coach Lang, but given how long I've watched Wofford football and how the whole system has worked for so long I would be very surprised if Lang wasn't the next coach. They'll tell us at the press conference today, or at least one would think so. OlRB#3 wrote: I honestly don’t think Coach Lang has any desire to be the head man. It doesn’t fit his personality. He’s not a centernof attention kind of guy. My thoughts as well. One wonders though what the dynamic would be if we end up hiring someone younger... especially if the hire is from within because he most likely would have recruited and coached them up from a young pup. I would agree with the previous statements about Coach Lang, but at the same time I'm pretty sure it would be his job to turn down if he decides to keep coaching. Ayers said something at the news conference that he doesn't know who is gonna follow him, but he hopes it's a Wofford guy. My money is on two. So it's not like WL was a coach in waiting, for what that's worth. Honestly, I'm content with whoever the pick so long as it creates continuity and harmony in the staff. But I would like to see some minor changes in how we run things. It doesn't have to be throwing out the option or the multiple 50 or converting to the air raid, I just want to see something different. I have zero insider info about our assistant coaches. From what I know and have seen, however, I have always been impressed with Coach Nash ... smart, hardworking, devoted, quiet, and methinks a fire burns within for the SHD's. Also, Coach Lang has been the target of some heat due to his high profile and alleged offensive shortcomings over the years; however I think he is a SHD through and through and very talented, and devoted, coach. No doubt RJ will give very heavy weight to any recommendation that Coach Ayers has, and I think he has one. They all need to know: being the boss will be harder than being an assistant, in terms of heat and responsibility, although the right candidate will crave it and it certainly has its rewards. Last edited by lawdog on Wed Dec 13, 2017 3:01 pm, edited 1 time in total. Given the common denominator of the Triple O, I would think we would have to take a good look at the assistants at service academies as well ? 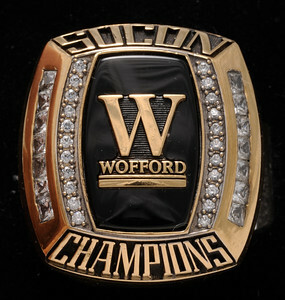 It's such a better investment for Wofford to continue to hire on staff. Two questions: 1) Is this a time to decide whether we will still be a TO team, or try something different? 2) Will upcoming signing day be affected? Part of the reason I think we're picking someone on staff is because of signing day. Between signing day, probably not wanting to break the bank to lure a new hire (which would be a gamble/risk) and wanting to maintain harmony on the staff, I really doubt we're going anywhere but Lang/Nash/Wood. Our program is successful because of the model Mike Ayers built. Not necessarily the option, but utilizing the loyalty of former players and current coaches to create continuity and consistency. Winning for your alma mater goes a long way when money can't.